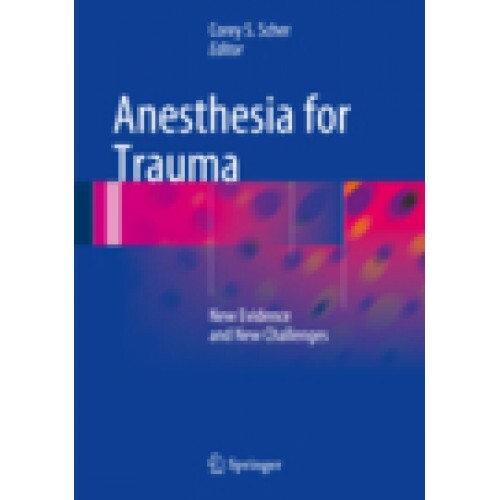 Anesthesia for Trauma is a comprehensive, clinically oriented text for practitioners and trainees in anesthesia, pain management, and critical care. It covers core topics, from initial assessment and blood and blood products, to the multi-trauma patient and trauma by major anatomical region. Burns receive especially extensive coverage. Special considerations when administering anesthesia to traumatically injured children, pregnant women, and older people are reviewed, as are foundational areas such as clinically relevant physiology and the growing role of trauma simulation in training. Readers will find leading edge coverage of microvascular surgery, pain management, and critical care of trauma patients as well as up-to-date chapters on trauma in the military, civilian trauma systems, and disaster management. 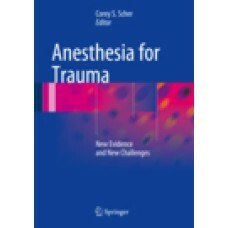 The book concludes with a unique “must-read” chapter for all clinicians on the link between substance abuse and penetrating trauma. Section I: General Anesthetic Management.- 1: Trauma Overview and the Initial Assessment of the Patient.- 2: Management of Pre-existing Compromising Conditions.- 3: Airway Management in the Trauma Patient.- 4: Physiological Derangement of the Trauma Patient.- 5: Blood Transfusion and Coagulation Disorders.- 6: General Principles of Intraoperative Management.- 7: Acute and Chronic Pain the Trauma Patient.- Section II: Management of Specific Injuries.- 8: Brain and Spinal Cord Injuries.- 9: Cervical Spine Injuries.- 10: Facial and Ocular Injuries.- 11: Thoracic and Abdominal Injuries.- 12: Musculoskeletal injuries and micro vascular surgery.- 13: Management of Burns.- Section III: Injuries in Specific Populations.- 14: Pediatric Trauma.- 15: Trauma in the Pregnant Patient.- 16: Geriatric Trauma.- Section IV: Critical Care.- 17: Critical Care of the Trauma Patient.- Section V: Trauma Systems and Disaster Management.- 18: Civilian Trauma Systems.- 19: Contemporary Military Trauma (Including Systems).- 20: Disaster Management.